Its, not everyday you get to play with two classic 1970 Ferrari’s! Just 5minutes from where I live is a luxury showroom owned by Justin Banks. 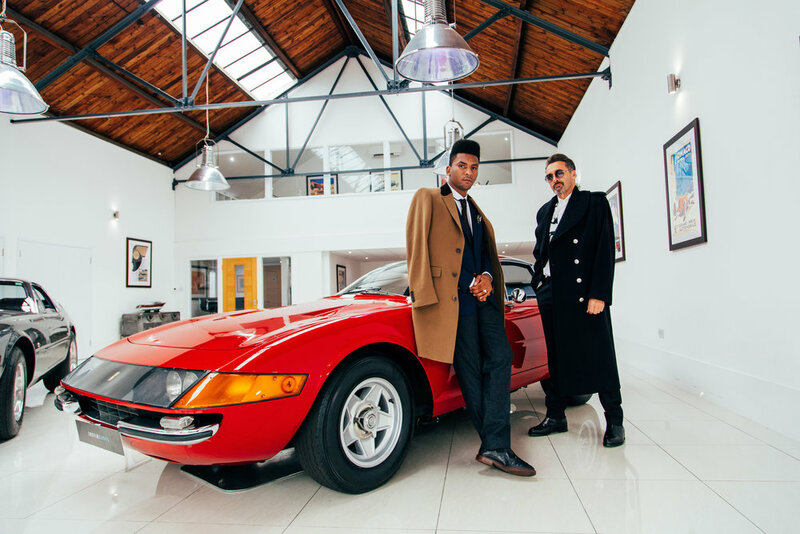 His first car was a classic Triumph Spitfire which he towed home at age 15, Justin has been collecting luxury cars like these his entire life. Mr Porter is the go-to brand for luxury men's style and fashion. When Crombie the iconic British menswear brand asked me to shoot their archetypical coats which have been worn by royalty, statesmen, and stars of the silver screen. Devotees have included Sir Winston Churchill, Cary Grant, and The Beatles. 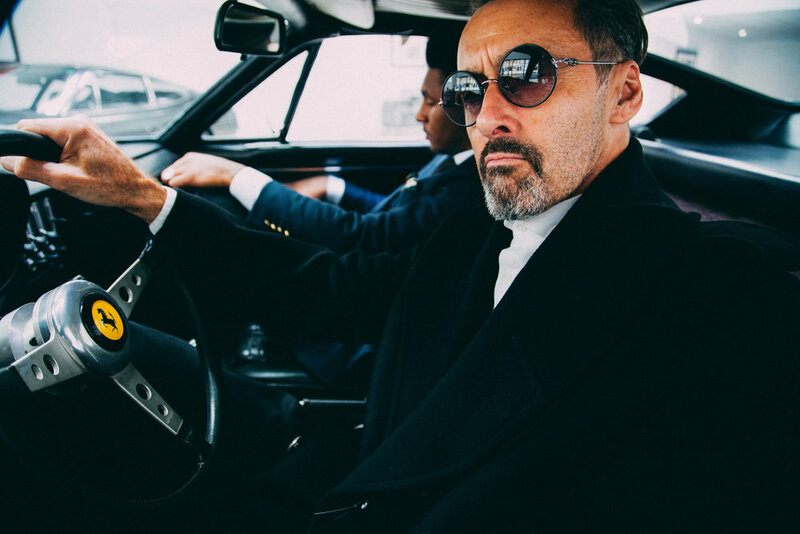 Their Iconic Collection, featuring menswear classics and essentials, includes the timeless Crombie Retro Coat – the original gentleman’s overcoat.